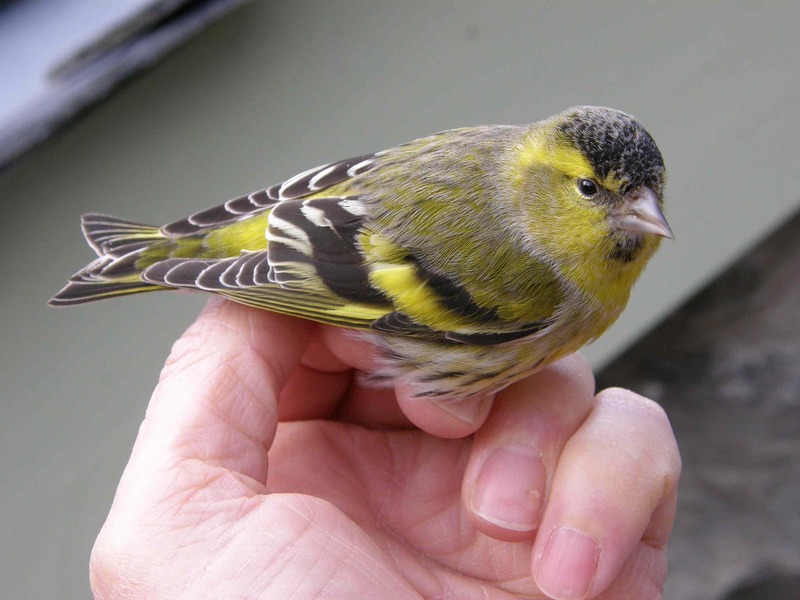 Many Fearnan residents who feed birds in their gardens will have seen siskins feeding on peanuts. You may think you are seeing the same few birds but, in fact, there is a great throughput of individuals. Hazel and I caught over a hundred in our back garden during February, including two controls (birds ringed outside Tayside) for which we await details. The map shows the movement of one we caught in January last year which had been ringed in Chilworth, Surrey, on the 12th April 2009.